Join in on the fun of playing tennis at school with classmates and friends! 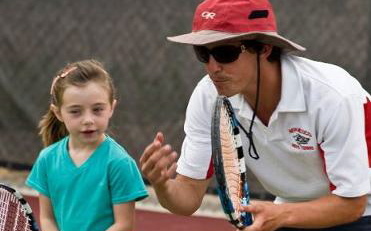 ANTS brings everything to your school, and is ready for children to have fun and play tennis! ANTS age-appropriate racquets cost $27.50. *NOTE* If your child attends Sunnyside, please state so in the "additional information" section of registration. Select Does your child need a racquet? No, he/she has oneYES! If practice need to be canceled do to inclement weather, 1 make-up per season will be scheduled at the end of the season. ANTS Tennis sends email notifications regarding the cancelation or changes .